Packaging Details High Quality Ploy Bag On Each Collar. Export master packing. FK International was established in the year 1995. 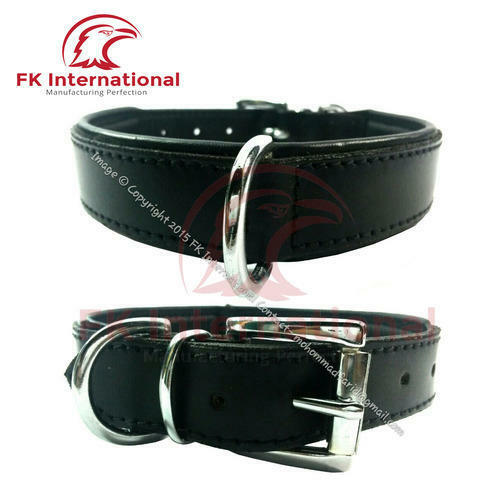 We are Manufacturer.Exporter, Supplier of Brown Leather Dog Collar Spikes, Leather Dog Collar, Simple Black Leather Dog Collar, Leather Premium Leash, etc.These are available in various sizes, colors, patterns and finishes as demanded by he customer. Our products are exclusively designed and developed with the use of superior grade raw material and sophisticated machines. Our products are highly praised by our customers for their superior tensile strength, features. We also test our products on several quality parameters before delivering it to our clients.